This iOS update also fixes a flaw recently discovered in iMessages. 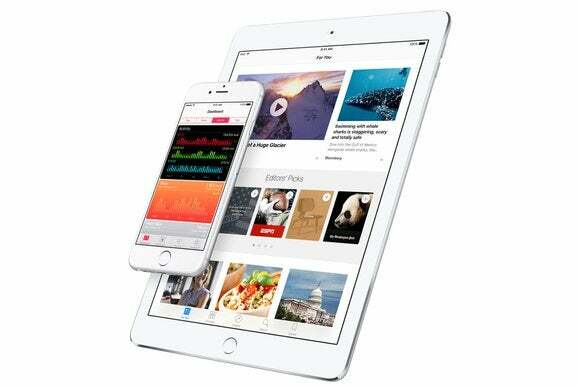 Apple is releasing more today than new hardware—iOS 9.3 officially drops Monday as well. It’s been in beta for a while now, and Apple even posted an iOS 9.3 Preview page to tease the new features in this dot-release for iOS 9. But before we get into any new features, know that you should upgrade to iOS 9.3 as soon as it’s convenient, as it contains the fix for an iMessage bug that was just reported. Discovered by researchers at Johns Hopkins University, the exploit can lead to photos and videos sent via iMessage to be decrypted. You’d have to be specifically targeted by very determined hackers, but it’s still a pretty concerning flaw, and Apple says iOS 9.3 fixes it. Night Shift. Some apps like Tweetbot, Kindle, Waze, and Instapaper have a “night mode” so you don’t harsh your eyes trying to read a stark-white screen in a dark room. Apple’s all-new Night Shift feature works differently but has the benefit of being system-wide. Night Shift doesn’t change screens of black text on a white background to white text on a black background. Instead, it starts adjusting the colors shown on your iPhone or iPad screen “to the warmer end of the spectrum,” cutting down the bright blue light that supposedly messes with your internal clock, fooling you into thinking it’s daytime when it’s not. Apple says Night Shift will automatically turn on at sunset in your location, and revert to the regular display settings in the morning. If this sounds like something you’d like on your Mac too, check out the third-party app it’s based on, F.lux. It’s available for the Mac for free, as well as Windows and Linux. New Quick Actions. iPhone 6s and 6s Plus users will get additional Quick Actions to take advantage of those devices’ 3D Touch feature. Deep-pressing the Settings icon, for example, will let you jump to the settings for Bluetooth, Wi-Fi, Battery, or new wallpaper. That really helps, since Control Center has buttons to toggle Bluetooth and Wi-Fi on or off, but if you want to switch Wi-Fi networks or pair with a new Bluetooth speaker, for example, those controls were always several taps away. The Health app gets a new Quick Action to show the dashboard or your Medical ID info, where you can store crucial in-case-of-emergency information, such as what drugs you’re allergic to. The App Store app has an Update All action, and both that app and the iTunes Store app will also let you jump to the Purchased screen with a Quick Action too. Peek and Pop have been added to the App Store too. Peek lets you preview apps from the Featured and Top Charts screen without opening them fully, and Pop opens them the rest of the way. Notes. Apple’s Notes app gets more secure in iOS 9.3, letting you set a password or use Touch ID to keep your notes under wraps. Other security-minded apps such as Evernote, Day One, and 1Password already let you use Touch ID to log in, keeping your information private without your thumbprint or a master password to unlock it. Those apps also have a alphanumeric passcode associated with them, and Notes will too—that way you can still access your password-protected notes on your Mac running OS X 10.11.4 or later. To password-protect your Notes, go to Settings > Notes and look for the Password Protection feature. Turn it on, then tap Set Password. Enter a good password and verify it, and you can optionally enter a hint to remind you too. If your iPhone or iPad has Touch ID, there will be a switch to Use Touch ID too. If you ever forget your passcode and can’t use Touch ID (say, because you just restarted your iPhone), you won’t be able to access your protected notes. And if your iOS device is running iOS 9.3 but your Mac is still on Yosemite or earlier, your password-protected notes won’t show up on your Mac at all. You need El Capitan (OS X 10.11.4 specifically) to be able to see them on both platforms. News. Apple’s News app is having trouble catching on, and tweaks in iOS 9.3 aim to make it easier to use, so you’ll keep coming back. Additions include inline video you can play without leaving your feed, landscape support throughout the iPhone version of the app, and a supposedly better-tailored For You section. Health. Apple’s database for HealthKit info has never been much to look at—it’s more a clearinghouse for all the health-related data you’ll collect and interact with in third-party HealthKit-enabled apps, like RunKeeper, Withings Health Mate, and MyFitnessPal. 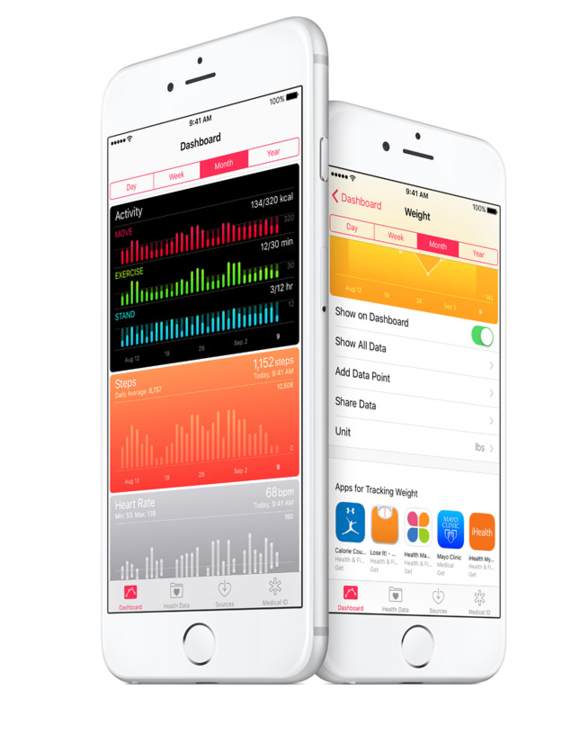 In iOS 9.3, the Health app will help you discover new HealthKit apps to install, adding a side-scrolling list of relevant apps to the bottom of the category pages for Weight, Workouts, and Sleep. The Health app will also show the move, exercise, and stand data collected by your Apple Watch, which right now is mostly locked into the Activity app. That’ll make it easier to share, say, the stand data with other HealthKit apps. CarPlay. If you connect your iPhone to a CarPlay stereo, you’ll get a couple new features in iOS 9.3. The Apple Music app will finally show the New and For You sections, instead of just your collection and playlists. And the Maps app will finally support the Nearby feature that was added in iOS 9, way back in September. Nearby helps you find businesses in your vicinity by category, like gas, parking, coffee shops, and restaurants. Education benefits. 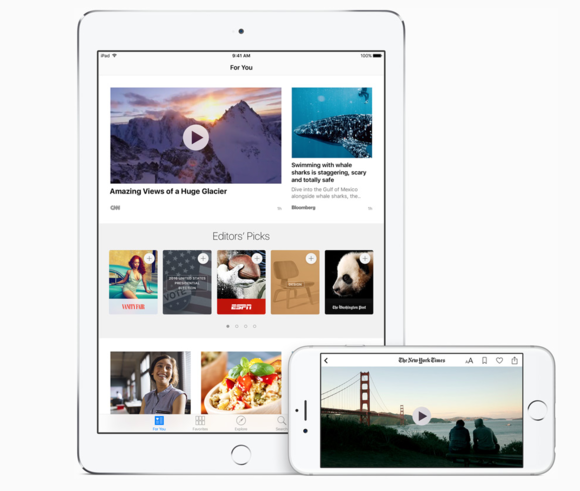 iOS 9.3 has some features aimed at schools as well—Apple has more details on a separate Education Preview page. Regular users probably won’t benefit directly from these features, but schools that deploy multiple iPads will get a new Apple School Manager portal to manage them. Teachers and admins will be able to create Managed Apple IDs and assign them to students. And a Shared iPad feature will let those students log in to any iPad in the school and pick up where they left off. Teachers also get a Classroom app that lets them peek at any student’s screen, launch specific apps and sites on every screen at once, and lock them in place so the kids can’t spend all day Snapchatting instead.